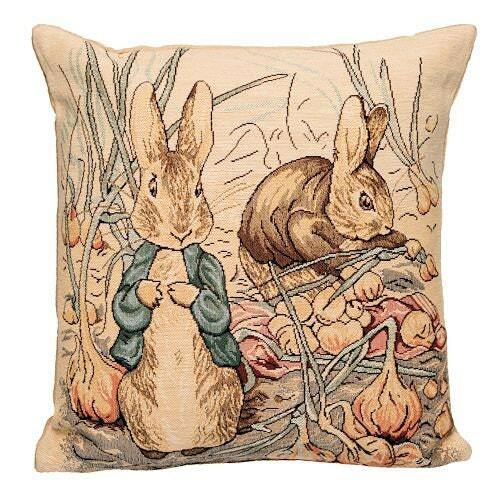 Peter is one of Beatrix Potter’s best known characters and children the world over are familiar with this classic tale of naughty Peter’s escape from Mr. McGregor’s garden. Published in 1902, The Tale of Peter Rabbit is Beatrix Potter’s first book and was expanded from an illustrated letter she had sent to a young friend who was ill. I love my pillow cover. Very happy!